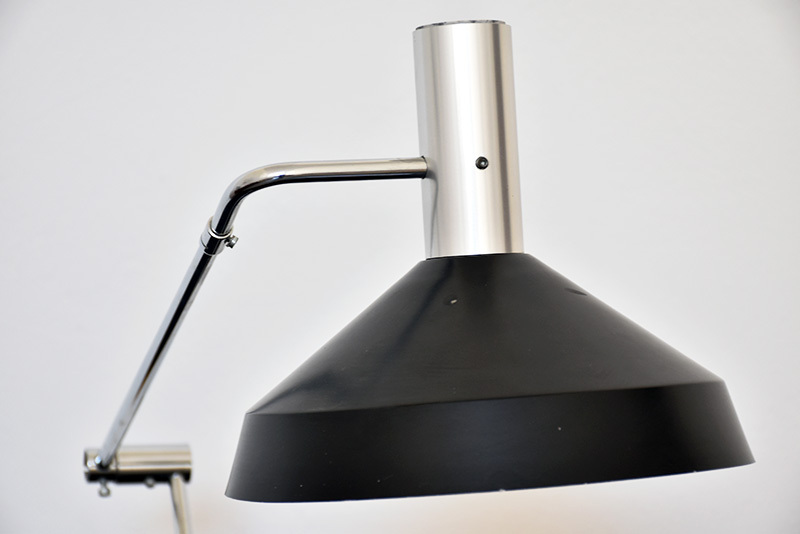 Large table or desk lamp made of black enameled aluminium shade and chromed arms. Heavy round cast base. 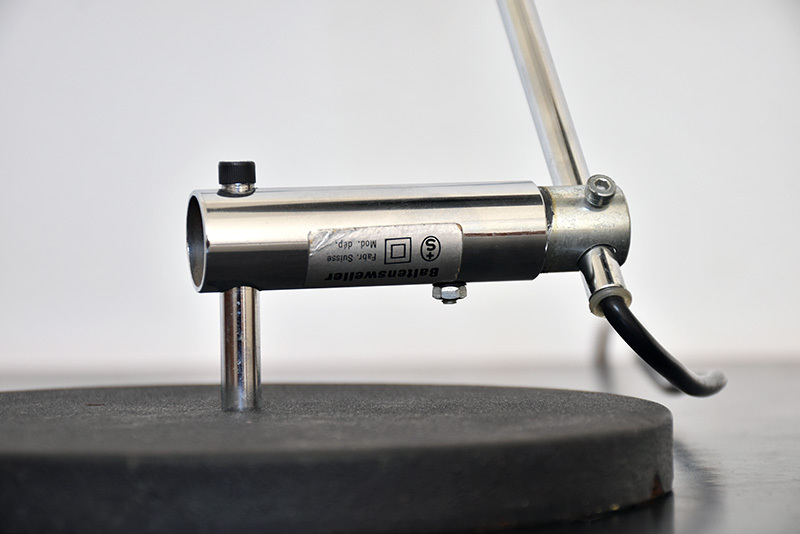 Adjustable arms and reflector. In very good vintage condition. 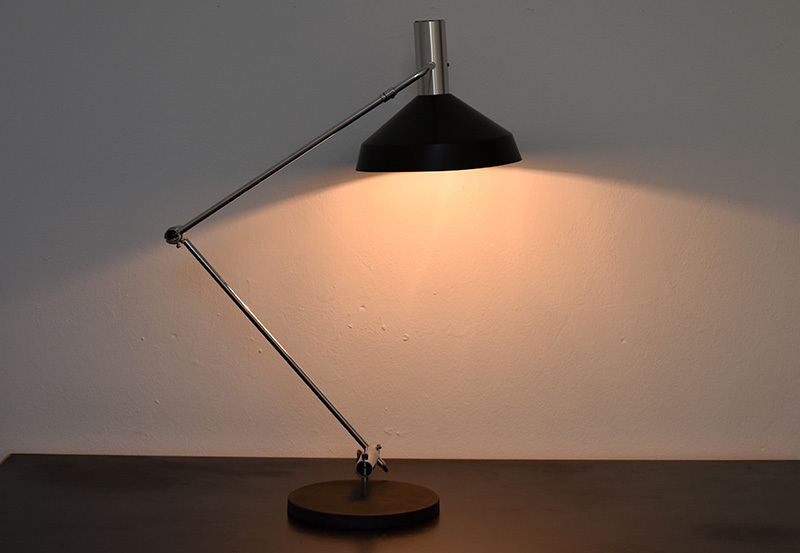 Typ 60 table light, Baltensweiler, 1957. 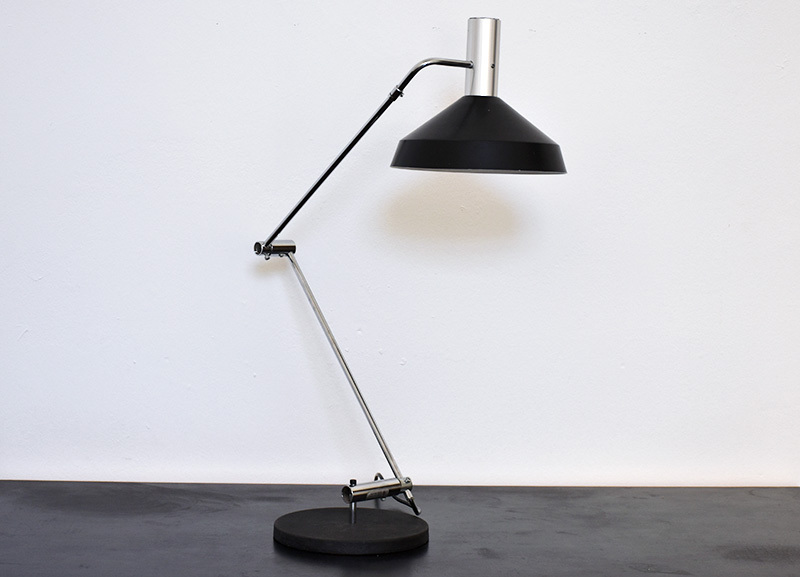 Founded in 1951 in Luzern, Baltensweiler is part of the swiss lighting design history like Bag Turgi or Belmag. 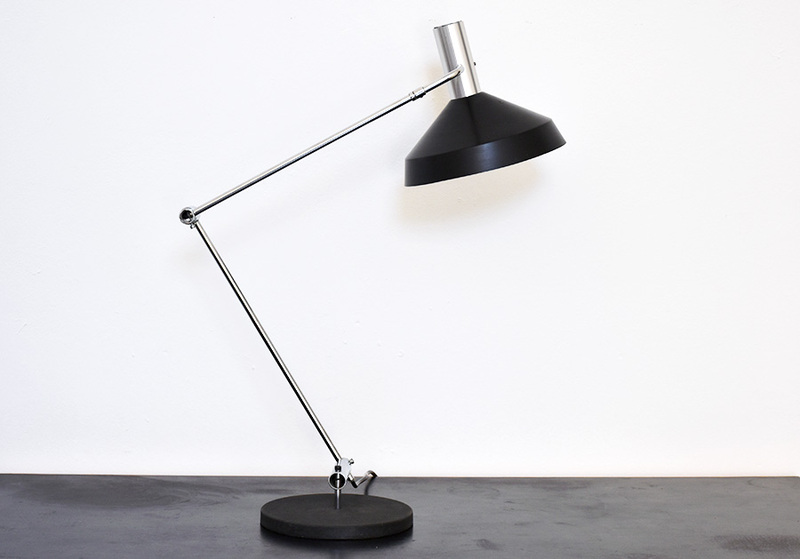 Some of Baltensweiler lamps are now very sought after amongst international collectors, like the Typ 600, 60, Pentarkus, or Halo Mobil (1975). 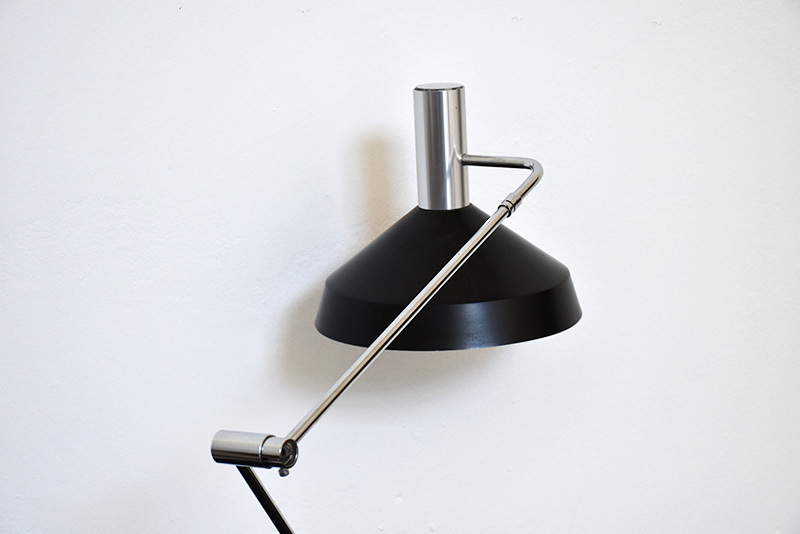 Large Typ 60 table or desk lamp made of black enameled aluminium shade and chromed arms. Heavy round cast base. 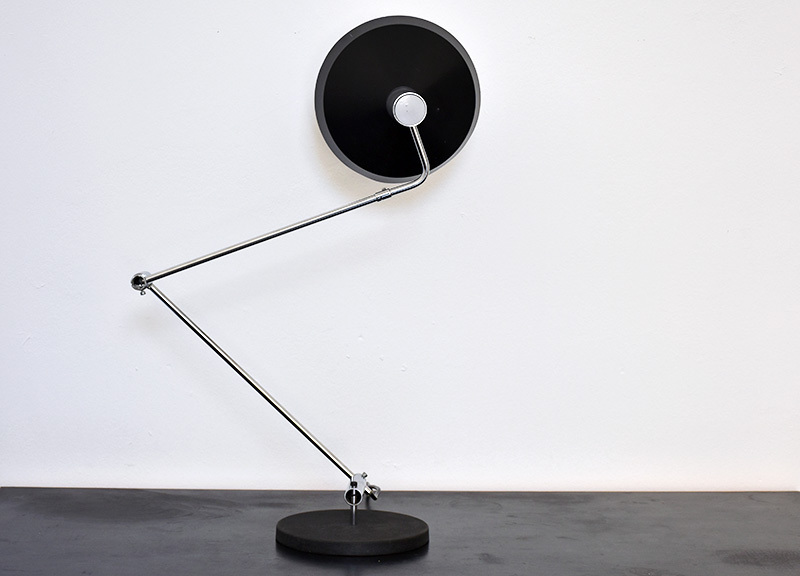 Adjustable arms and reflector. In very good vintage condition.